I got up at 6:15 and got prepared to travel to Reading for today’s Half Marathon. Unfortunately, by 6:45 I was notified that the race had been cancelled due to the recent winter storm. However, I had learned that the Hampton Court Palace Half Marathon which was due to start at 9am, was still going ahead. I contacted the race director who arranged for me to collect a number and race chip upon arrival. I drove the short distance to the venue and arrived with plenty of time to spare. The weather was bitterly cold so I chose to race in long sleeves, shorts and socks. 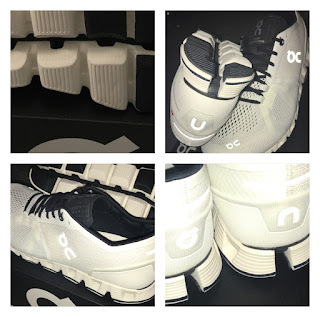 Despite the multi-terrain nature of this course I was keen to test the CloudX shoes I intend to the use in the Marathon. However, not my pure white pair! 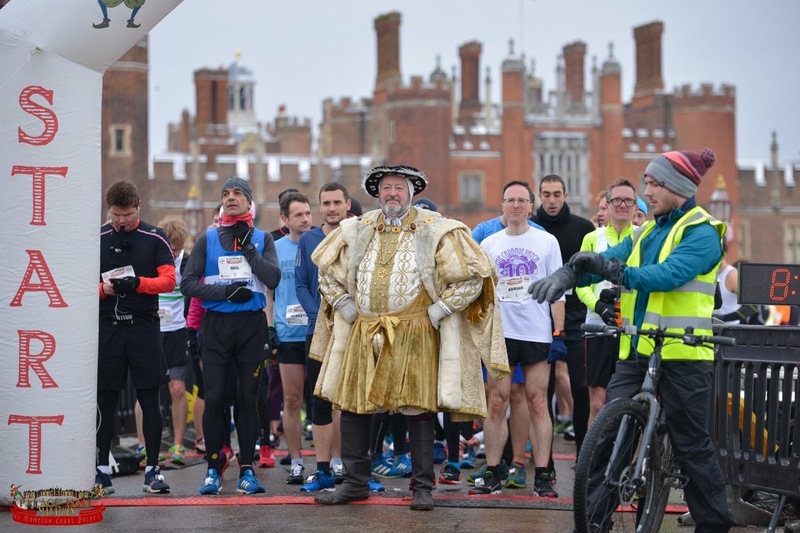 In front of his Palace Henry VIII was poised and ready to start the race. When the gun went I eased myself into a steady rhythm, but not too fast as we had to negotiate a potentialy slippery tight left turn immediately out of the palace gates. Only one runner was in front of me for the first 1/4 mile. I soon eased into the lead where I remained for the rest of the race. a.m Easy 10.6 miles @ 7:13/mi with the 6am Club. 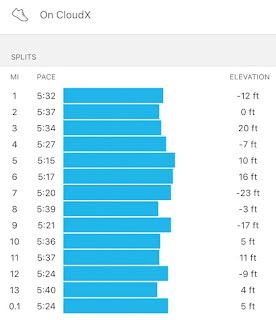 The lateral side of my feet were feeling very sore during the run. Probably due to the way my foot strikes when running fast but I think it’s time to change my bread and butter shoes. My Strava shoe tracker tells me I’m approaching 400 miles in this pair! With a recommended 2hr arrival time prior to flight, I managed to complete a 6 mile run by 4:05am. After a short drive to T5 long stay car park I caught the complimentary bus to the terminal and was checked in by 5:45a.m. I was hoping to fit in a 2nd run at the airport hotel in Frankfurt which was hosting the meeting. Unfortunately, as I wasn’t staying in the hotel this wasn’t possible. I'm glad I made the effort to run this morning. My marathon shoe of choice for London 2018. Allows forefoot to flex and generate momentum. Two easy runs today followed by a Staff Appreciation Awards and Dinner which went on till 10:30pm. Got to bed at 11:30pm. Will struggle to run fast in tomorrow's session. Love the track session Coach Conrad prescribed. We're always seem on the same page. If I'm short of something he knows what to prescribe and I often seem to anticipate what type of session he will give me on the monthly schedule. Unusually for me I needed a cup of black coffee before going out to do this session after yesterdays late night. 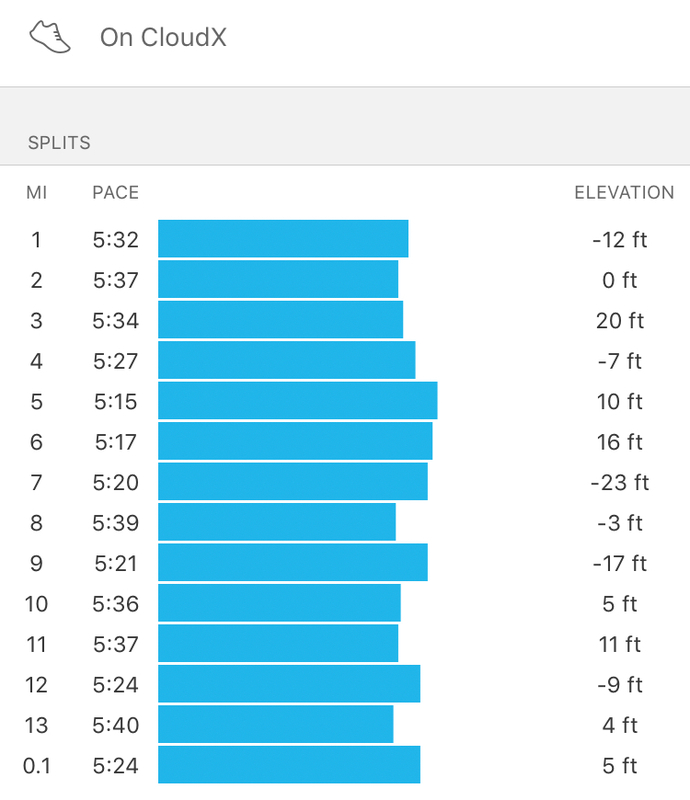 I focussed today on running fast from the offset and holding the momentum through to the 1st 100m and cruising through the remainder of the rep. Later in the session I increased the length of the initial fast phase and then pushed the last rep all the way through. Legs feeling young(er). I woke to a sleet shower this morning. I began my run and stayed predominantly off road today, to reduce the stress prior to tomorrows race. I could see the Nonsuch Pk run officials braving the elements marking the course, finishing funnel pitching their tent. After a few miles the sleet turned to light snow which led me to consider a contingency plan should tomorrow's race be cancelled. Perhaps long run with efforts perhaps depending on conditions. Too cold and stiff for a cool down so I ran later in the afternoon. p.m 4.1 miles easy recovery run @ 7:55/mi. Ran is snow blizzard. I ate too close to running and got a bad stitch so had to stop briefly. Loosened the legs off nicely. 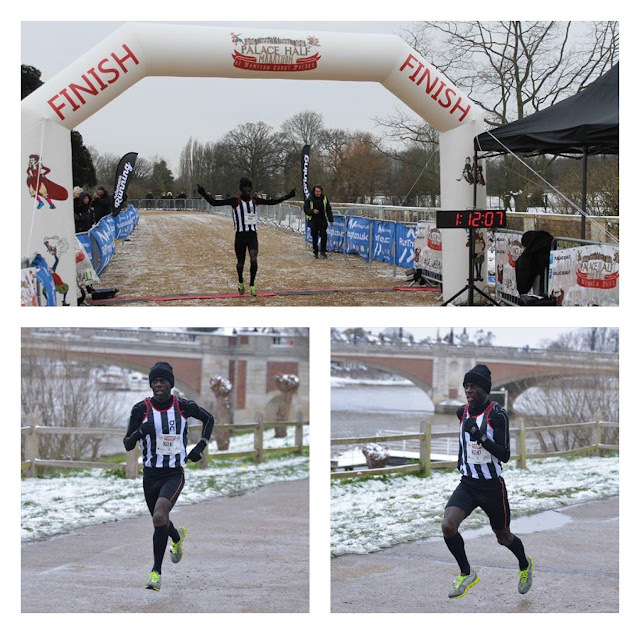 Congratulations Kojo on a first place in difficult conditions. Your training and racing is going really well, and great to see how adaptable you are, fitting in difficult sessions on your work trip abroad - impressive stuff. I'll look forward to seeing your performance on April 1st. I got back from Malaga yesterday. I had a disaster half marathon Kojo, running 1.31.11. My right knee was playing on me, but I still have a virus in my body, as keep coughing up phlegm. After 4 miles had no energy. My tenth mile was nearly 8 minutes and struggled to even finish. Worse to come my right knee was agony on the medial side this time, and swollen. I reckon I'm going to have a long recovery Kojo, depressing stuff. My pal ran the same time, and he had a stomach tear, taking ibrufen before to finish. To rub salt in the wound the weather was pouring rain and cold. Still had a good time over there and we might do again next year but only if we are fit LOL. Take care Kojo, and keep up the good work.